You are responsible for the excellence center of efflux transporters in Ludwigshafen within the global AbbVie organization and you conduct all efflux studies from early screening to IND/NDA applications and post-marketing. You ensure quality and timely execution of all studies in a cost efficient manner, design and conduct novel and innovative assays to address specific scientific or regulatory questions, and you are the subject matter expert within the global DMPK-BA organization for this activity. You will establish an excellence center for absorption. You will apply, explore and develop new in vitro approaches and collaborate closely with formulation scientists and PBPK (physiologically-based pharmacokinetics) modelers to enhance the prediction of oral absorption for new chemical entities. You will expand the current capabilities to understand/predict oral absorption or subcutaneous absorption of new modalities beyond drug-like small-molecules. You will function as key point of contact for this activity within the global DMPK-BA organization. You hold a PhD in biochemistry, biology or related field with at least 5 years of experience in the pharmaceutical industry or in a CRO as an expert of drug transporter / drug absorption (especially for cell-based assays) with a proven track record (e.g. relevant publications, posters, speaker at international conferences). Optionally, you have experience with LC-MS/MS analytics, lab automation, and/or HPLC with radio-detection. 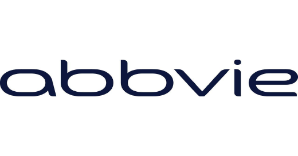 You possess excellent teamworking skills and a high degree of self-initiative, as the role is highly interdisciplinary within the AbbVie organization. You have excellent presentation and negotiation skills and ideally already have some experience as a DMPK project representative within research and development projects in a pharma context. A challenging job with high personal responsibility in a committed and competent team. Your mentoring will be accompanied by a mentor who will assist you as coach and contact person. We create the ideal environment for focused and passionate work, providing our employees with the utmost flexibility to tailor their daily work to their individual needs, including flexible work models, multiple benefits, and comprehensive health and sports programs. We are looking forward to your application. Please provide information about your salary expectations and possible start date in your motivation letter.